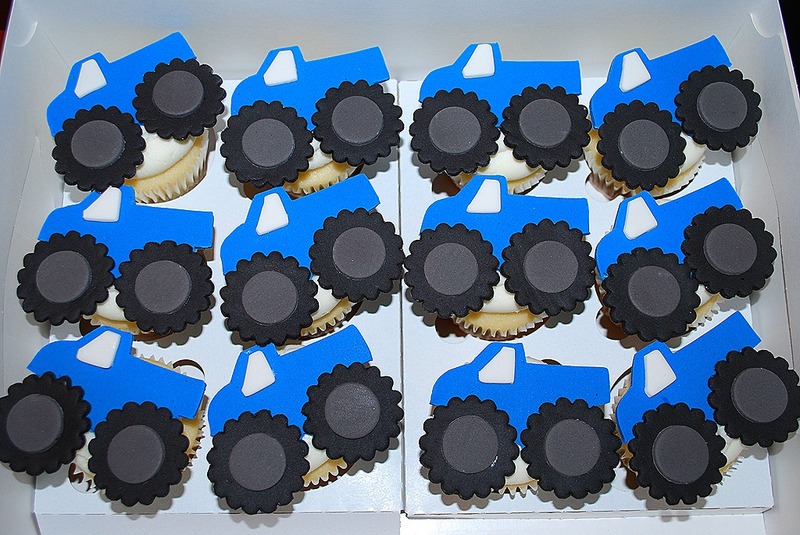 I so love these cupcakes. They were super fun to make and came out too cute. 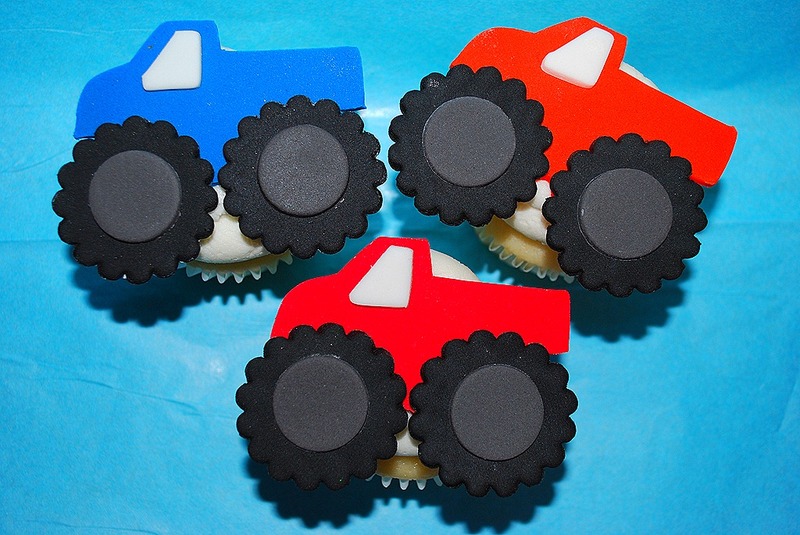 I had never had an order for monster truck cupcakes and could not wait to get started on these! All the customer told me was that they had a bounce house with a monster truck on it—I got to take from there. I used a small fluted cutter for the wheels. I added gumpaste to the fondant to make sure they would harden up. 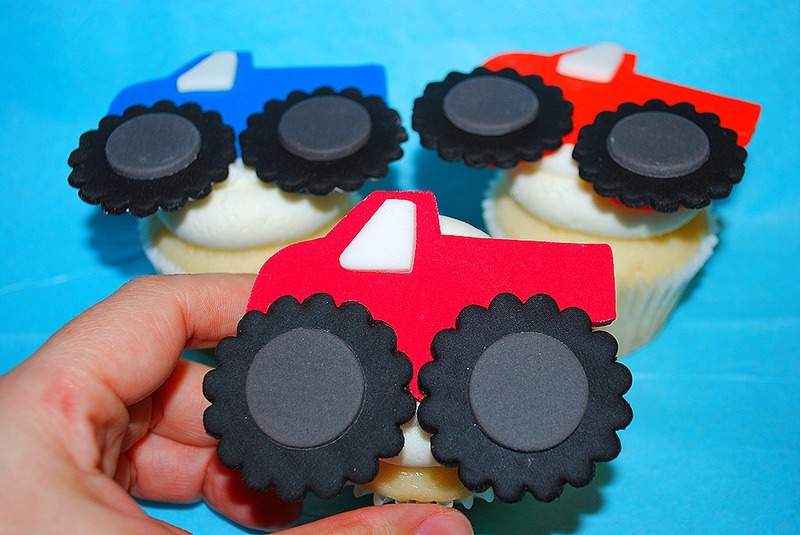 I used the bottom of my jumbo icing tip to make the inner circle of the tire. They were all done in grey. 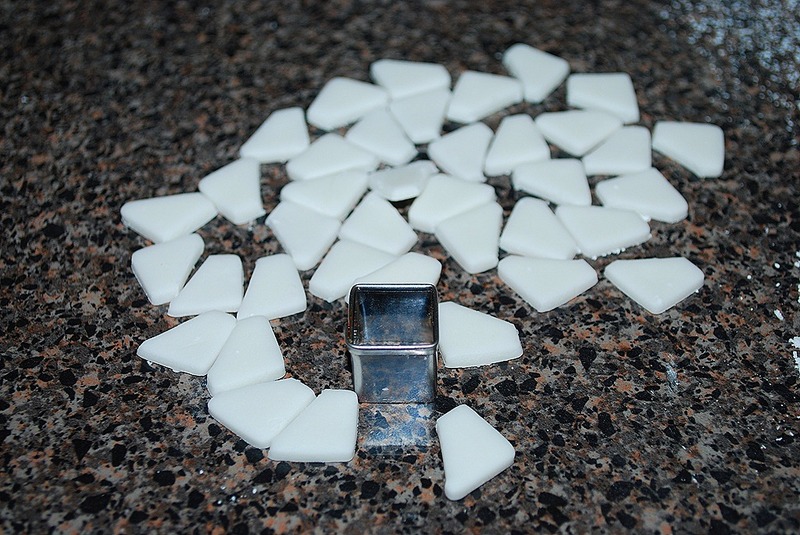 It did not matter if they were hard, so there was no gumpaste added to these. The windows were cut with the tiny square cutter. I cut one edge off to look like a window. Once all of the pieces were cut out, they went on the truck bodies. I ordered a truck cutter and when I opened it, it was way too tiny. 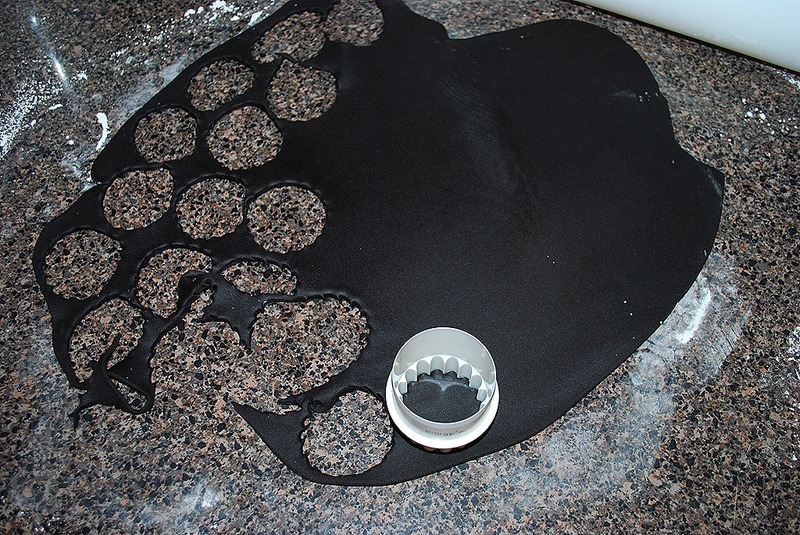 So, I traced my monster truck cookie cutter, scanned it and scaled it down to the right size. Then I cut out he copy. 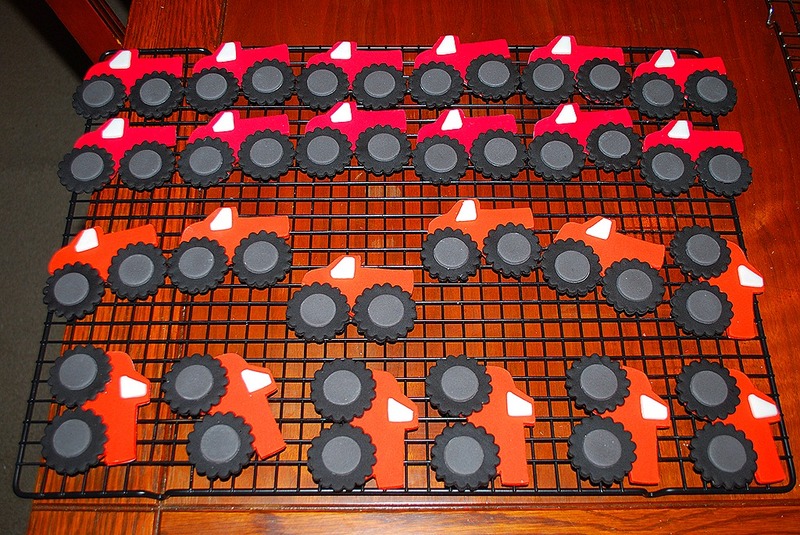 And then began the hand cutting of 40 monster truck bodies. Fun times. 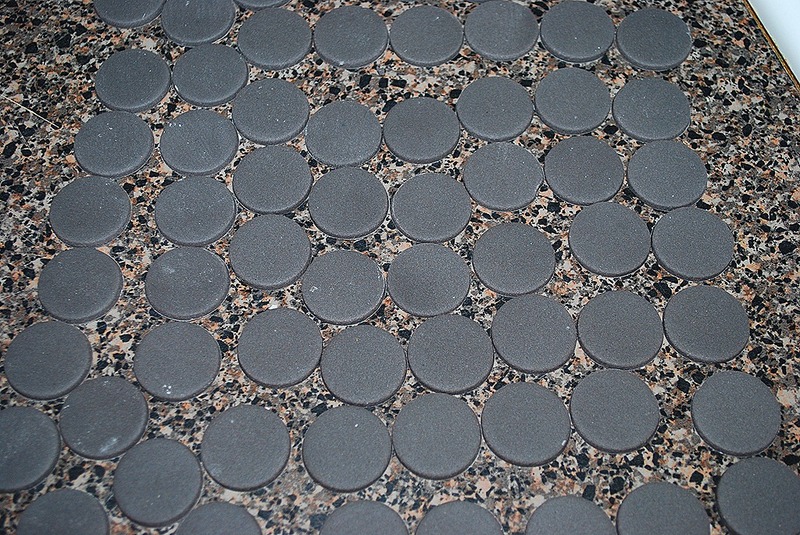 The pieces were a bit time consuming to get done, but totally easy to do. 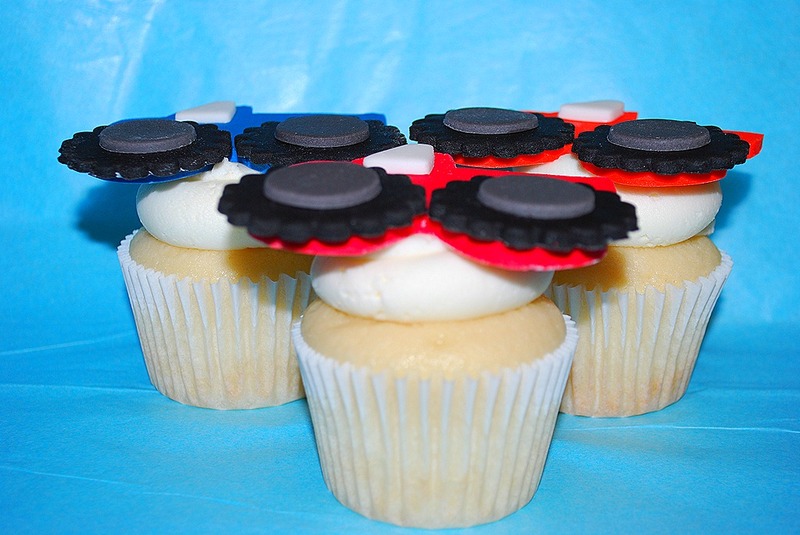 These were definitely monster sized cupcake toppers. I had a hard time even getting them to fit in the box! They were so stinking cute once they were all done. I loved doing these and can’t wait to do them again! Enjoy! !